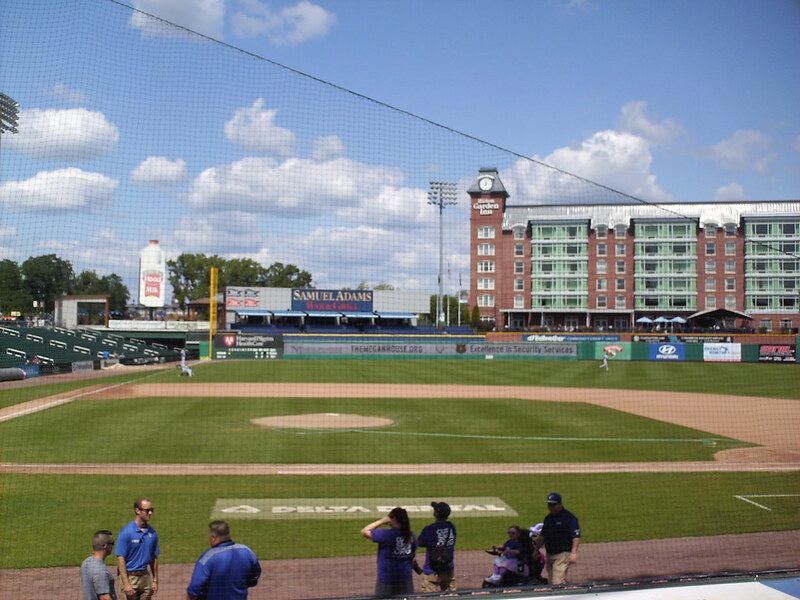 The view from behind home plate at Northeast Delta Dental Stadium. 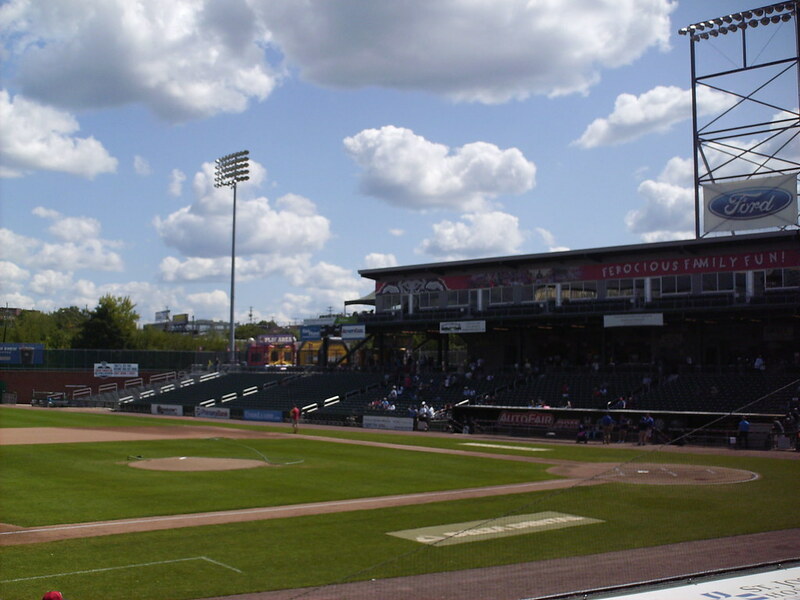 The grandstand at Northeast Delta Dental Stadium, as seen from the left field corner. 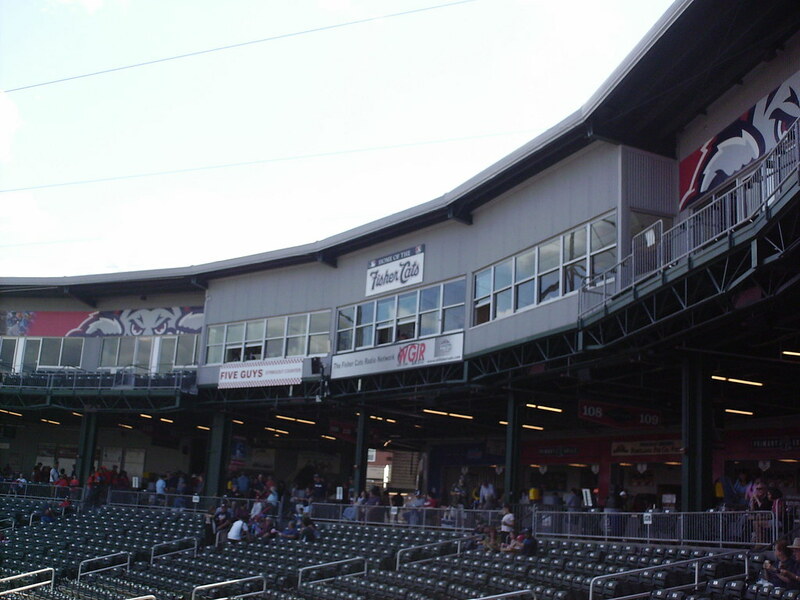 The pressbox, on the second level behind home plate. 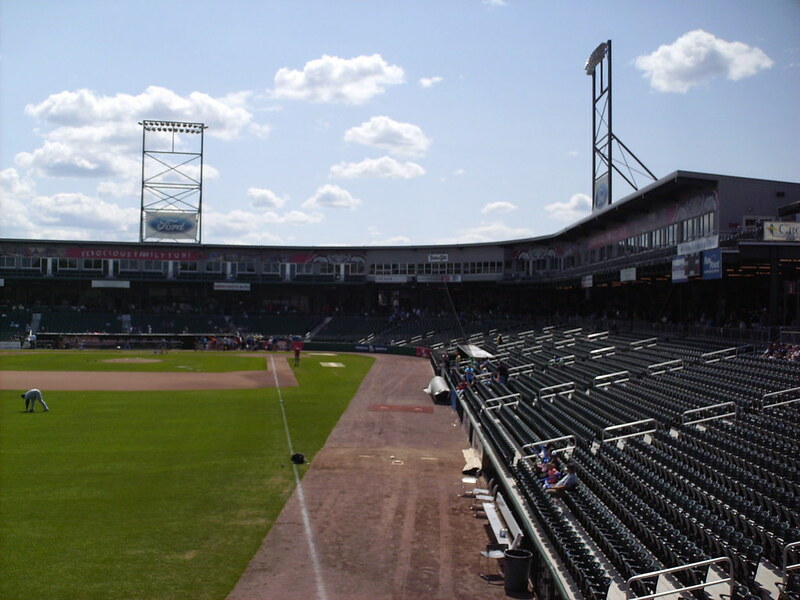 Luxury suites sit on either side of the pressbox on the second deck. 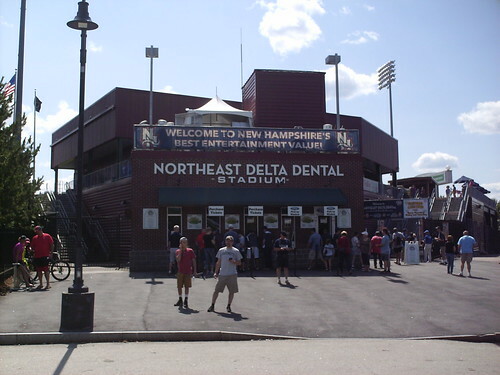 An enclosed restaurant sits in the left field corner of the concourse at Northeast Delta Dental Stadium. 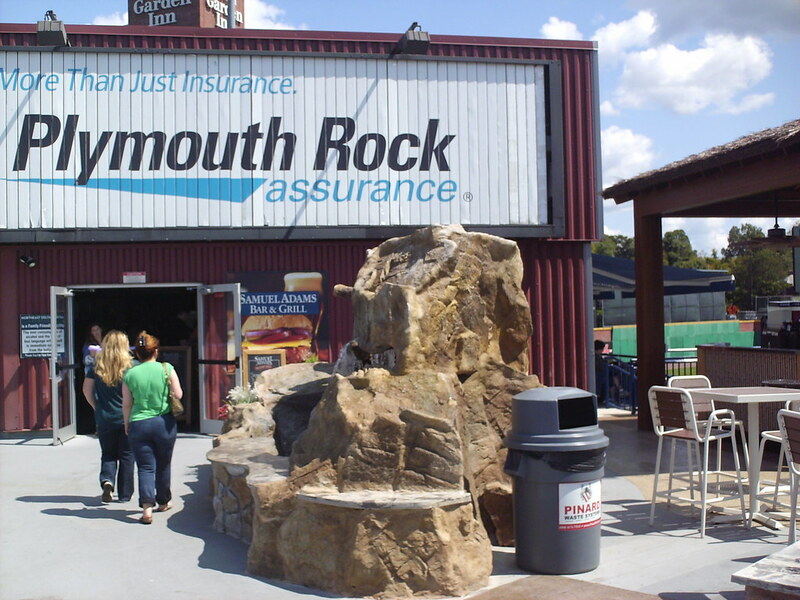 The left field restaurant opens up to several rows of pavilion seating with drink rails that overlook the field of play. 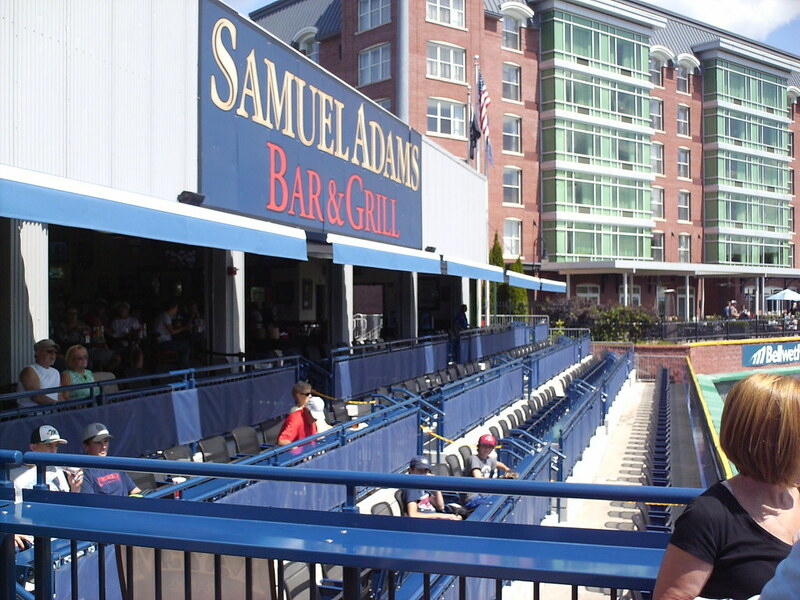 Table seating along the concourse provides views of the Merrimack River, which runs behind the ballpark. 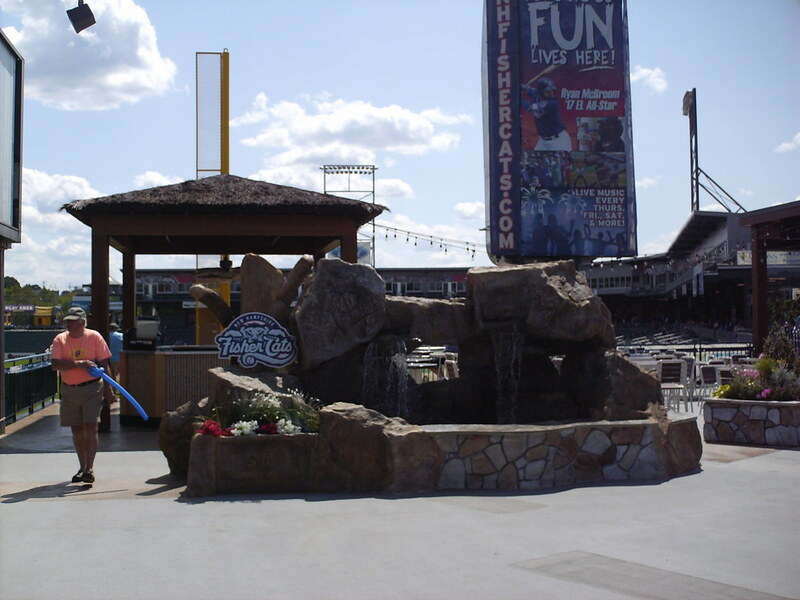 A woodland themed fountain welcomes fans entering the main gate of the stadium. 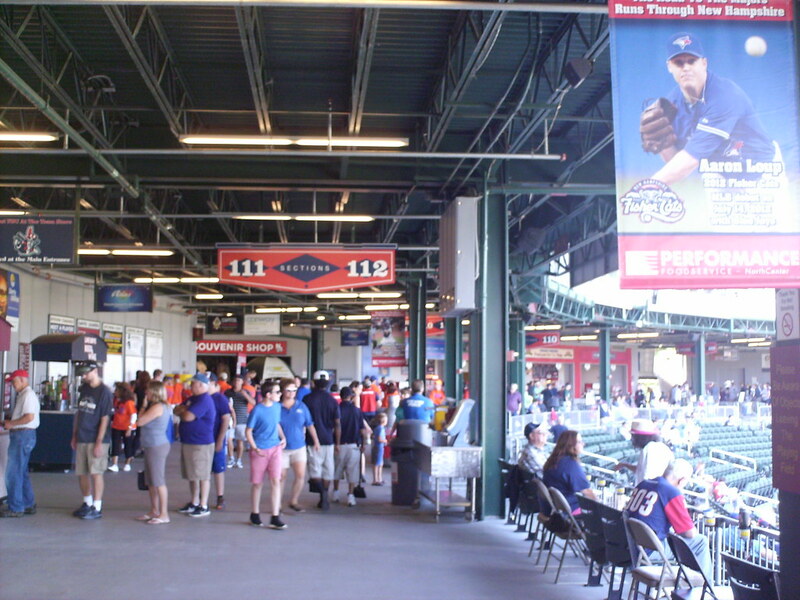 The main concourse runs along the top of the seating bowl, with banners celebrating former Fisher Cats who have made the major leagues. 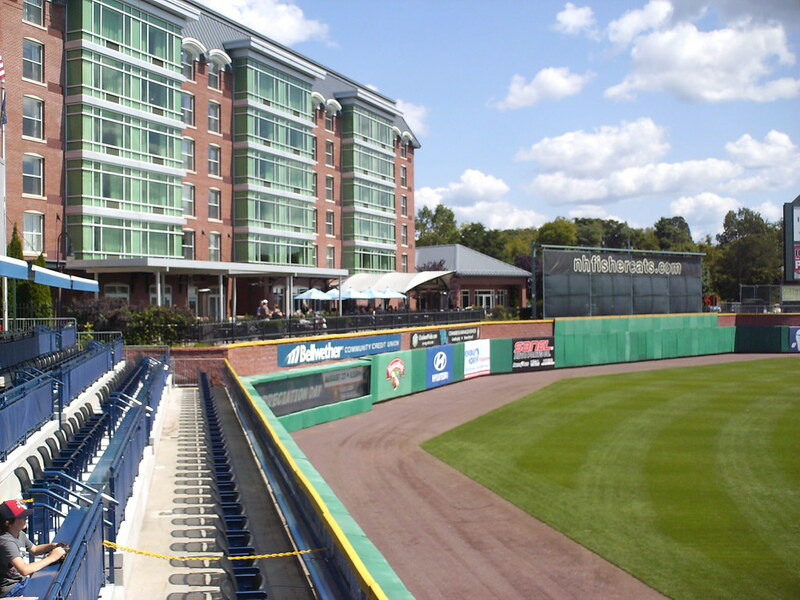 The Hilton Garden Inn towers over the left field wall. 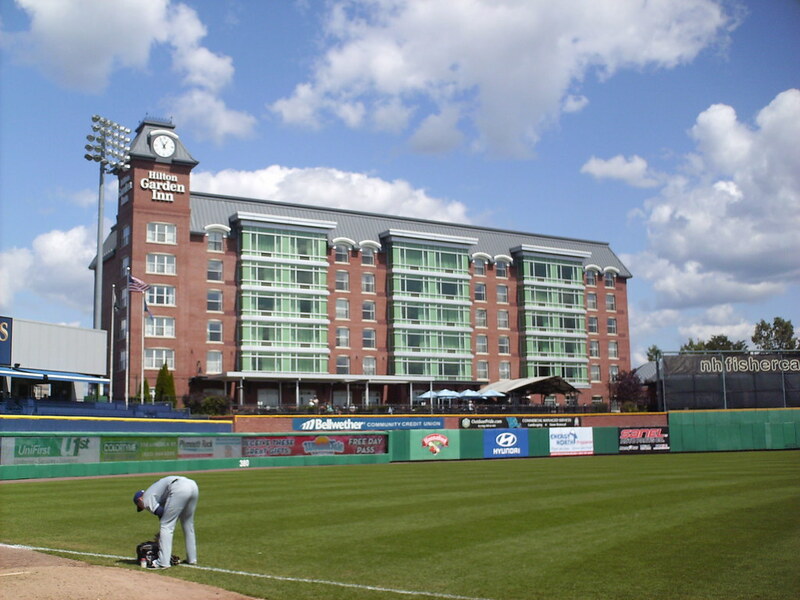 The Fisher Cats are the Double A affiliate of the Toronto Blue Jays, another team with hotel rooms overlooking the field. 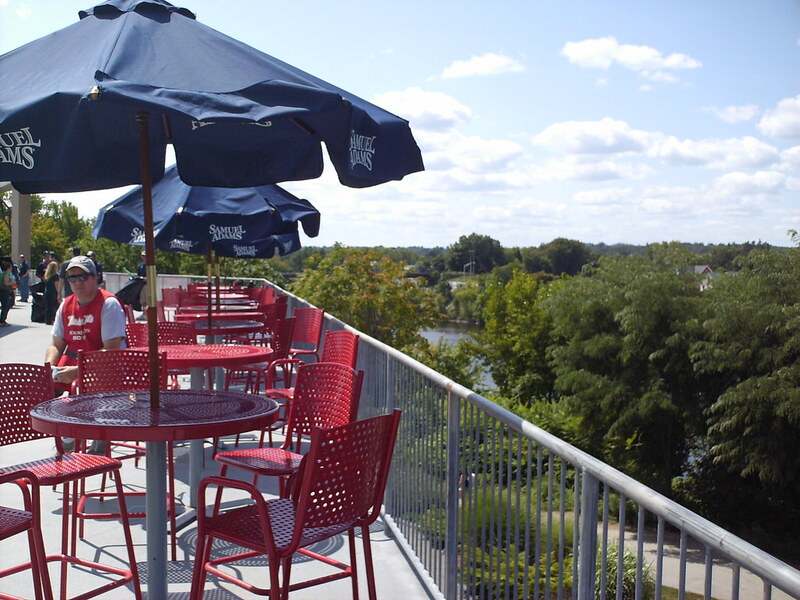 The hotel features a patio that allows guests an up-close view of the game. 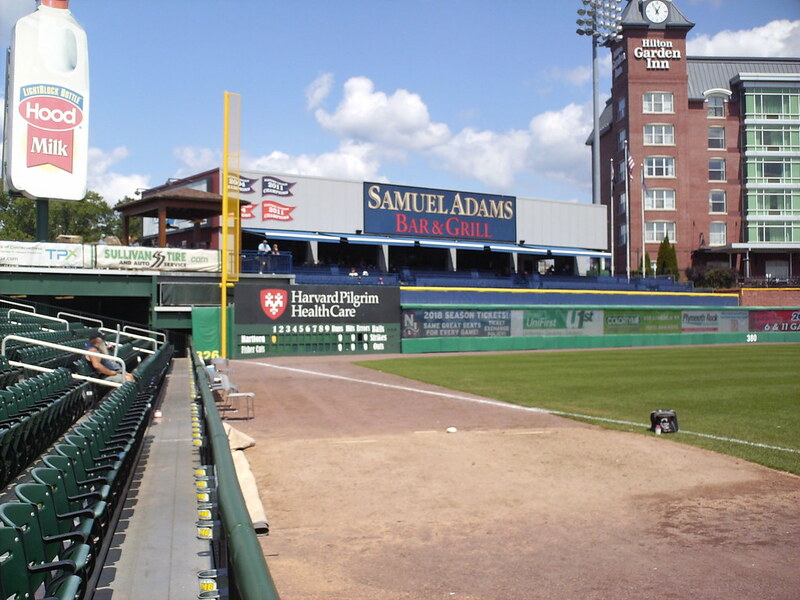 The outfield wall features several sharp corners and angles. 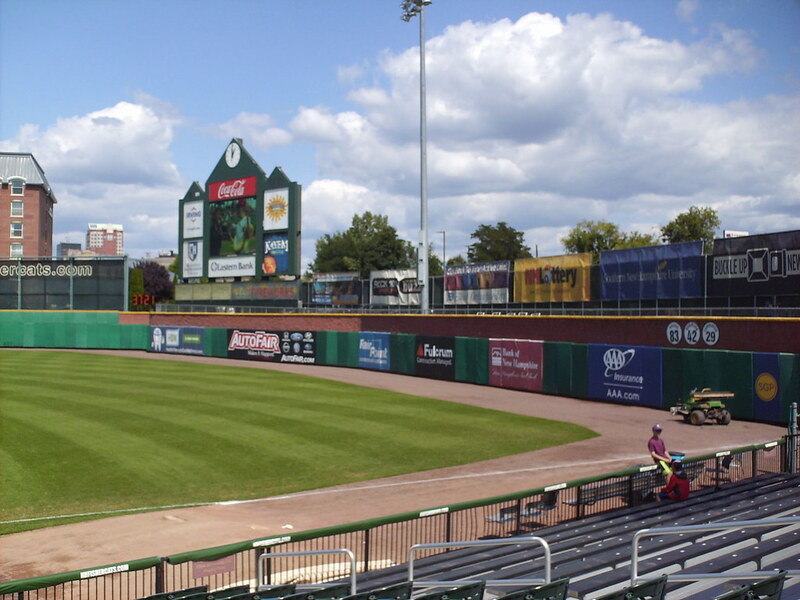 The scoreboard sites beside the batter's eye in right center field, with the team's retired numbers in the corner. 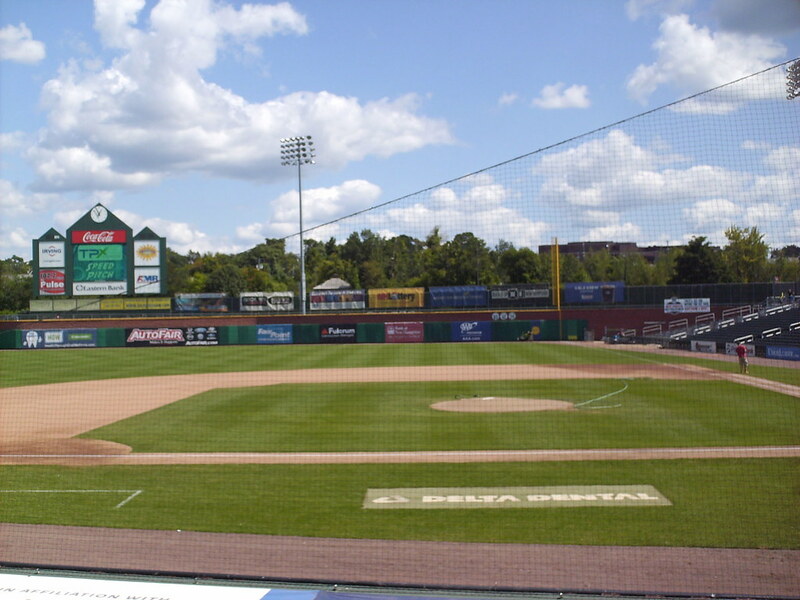 A small manually operated scoreboard sits in the left field corner of the field. 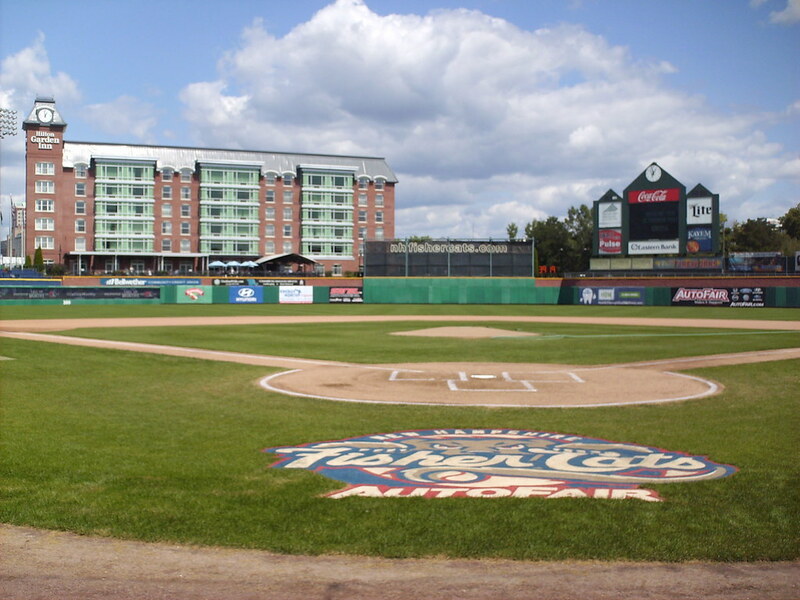 The Hood milk bottle above it formerly sat above the Green Monster at Fenway Park. 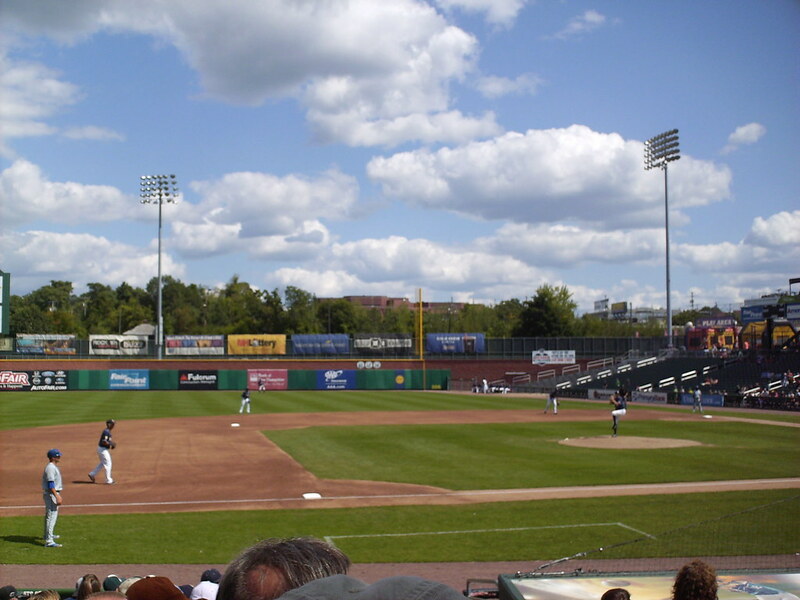 The New Hampshire Fisher Cats on the field during a game at Northeast Delta Dental Stadium.